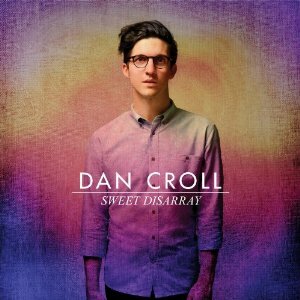 Dan Croll has been a rising star on the British scene a for while now, which might explain why his debut album, Sweet Disarray, sounds so fully-formed. The album is a kitchen-sink-type record–it’s got a sizable arsenal of sprawling pop packed with inventive production, while at other moments, it’s so intimate you’d swear Croll himself is singing right next to you. “From Nowhere” is a party-ready opener, with a quirky digital beat that soon gives way to a reverb-heavy dance groove. With guitars that echo off into the distance and harmonized sighs, it’s a prime example of the kind of lush maximalism Croll is capable of. Elsewhere though, as on the title track, Croll delivers gentle, acoustic folk with a malleable tenor that would make a fitting addition to the Fleet Foxes crew. The rest of the album falls within this broad stylistic spectrum, from the Graceland-like dance jam “Always Like This” to the slow-building deep groove of “Can You Hear Me.” Perhaps the most impressive feat is that not a single track on the album breaches the four-minute mark. Croll’s got ambition, but it’s paired with economy and a desire for fun. Forget Lady Gaga–this is real art-pop.